I was 18, in a foreign country, and for the first time in my life, totally alone. 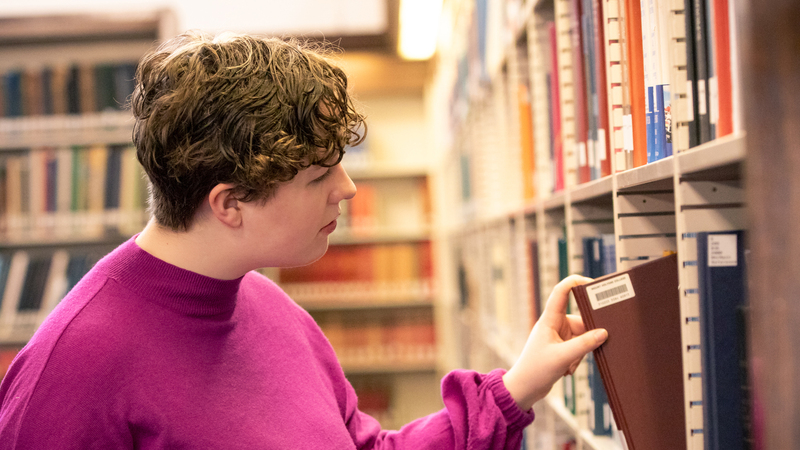 As a spring admit, one of a small number of students admitted to the College for the spring semester and not the fall, I had to find a way to fill what would have been the first four months of college. At first it seemed I was destined to spend another yet another season as the cashier for my home town’s mechanic shop. But I couldn’t bear the idea of more months in my tiny town. I was determined to separate myself from all that I knew — but doing so was turning out to be harder than I’d imagined. To both save money and avoid the neocolonial implications of “voluntourism,” I had chosen to go to Morocco through an atypical program. The organization’s mission is twofold: to make gap experiences accessible to students who are not well off and to enable students to make change that is useful to communities. Instead of immediately diving into charity work dictated by a foreign nongovernmental organization, the organization served as a middleman. I contacted them and they contacted a Moroccan university. The university then contacted local, Moroccan-run charities and asked where they needed help. My work varied. Initially I helped out at a summer program for kids who weren’t in school. I was a teacher’s aide briefly and I finally settled on teaching English at a local women’s center. The downside of such a program? 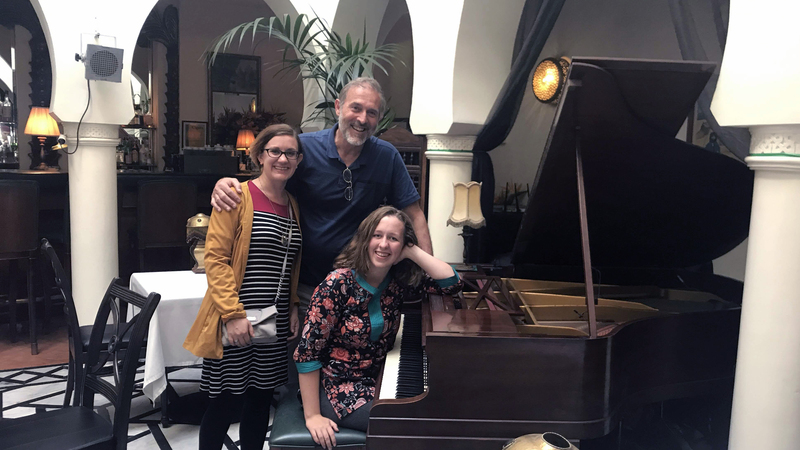 Instead of arriving with a crew of students to befriend, I was alone in a foreign country, with limited language skills and more anxiety than a cat in a rainstorm. I wish I could say that I never regretted my choice for a minute. But I did, most notably when I scrolled through social media, agonizing over pictures of Mount Holyoke students dressed in bright green for Convocation, making friends and memories without me. 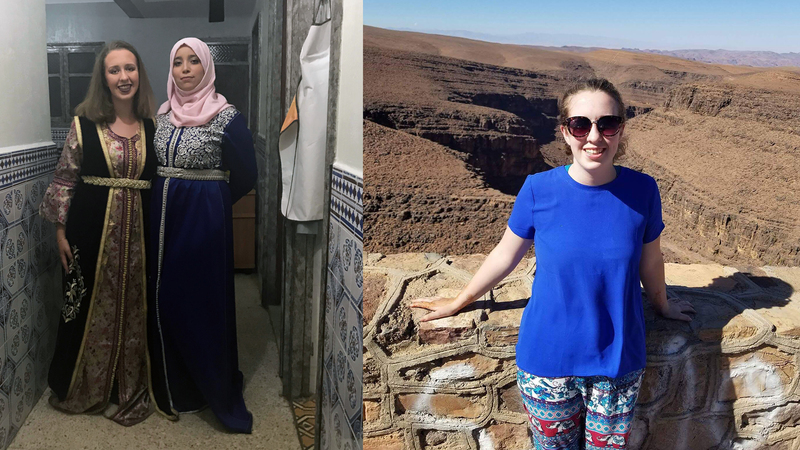 From left, Madeline Fitzgerald ’21 and Hajar attend a wedding; Fitzgerald in the Atlas Mountains, Sahara desert. The voice belonged to a Moroccan girl, about my age, with the barest trace of an accent. She wore a black hijab and an impish smile. Her name was Hajar and she was one of those whirlwind people — always instigating adventure. On that particular day, with only a quick introduction, she shoved me into a taxi and we traveled to the zoo. In the future I would visit her house by the beach and her family farm, with its aging donkey named Stacy. She’d take me to a wedding where I got so sick that even the bride worried for me. When I had told people back home that I was going to Morocco, they told me about terrorism and danger and every stereotype they knew about Muslims and Arab countries. What no one ever told me about was the Sahara desert, where I would take an impromptu trip to see the night sky in its full glory. No one told me about how the joy of attending a baby shower would transcend language or that when people make fun of your dancing, the message would be clear in either Arabic or English. No one told me about the sisterhood of the “hamman” — the bathhouse where all the women in the neighborhood would wash each other with henna soap. No one told me how I would learn to embrace spontaneity and see the world in a less cynical light. No one told me that I would learn to fight my internal prejudices and abandon the fear that suburban life inculcates into its residents. I left my home in Connecticut as an 18-year-old who was terrified by social interactions and struggled to make friends. If I had come to Mount Holyoke in the fall, I have no doubt that I would’ve arrived as the same person I’d been in high school. Seperating myself from everything allowed me to gain new confidence and understand my place in the world. Every day I had to learn new customs and figure out how to do everything from buying coffee to hailing a cab — tasks that require a similar degree of intellectual energy as any 300-level seminar. 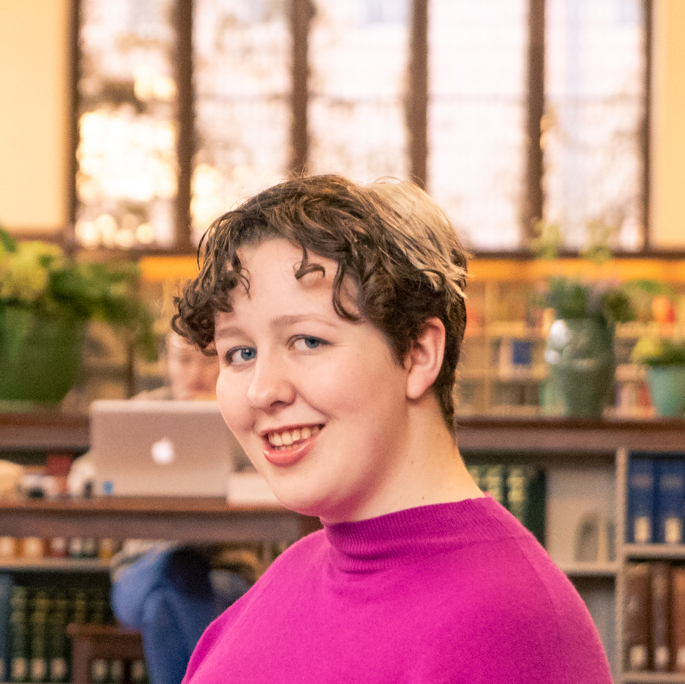 I returned home, and started Mount Holyoke in the spring semester, as a smarter, happier woman. People think of gap years or semesters as breaks from education. But I found it to be a way to learn who I was and how I function in a world outside the school structure I’d been accustomed to for 12 years. I often tell people that I started college a semester late, but that’s not true. I started the rest of my life a semester early, and am using that experience to guide me through college. 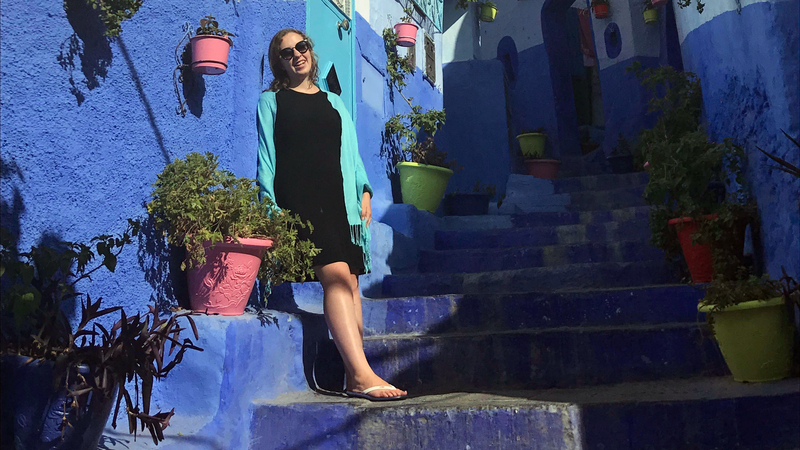 Photo at top: Madeline Fitzgerald in Chefchaouen, also known as the Blue City.